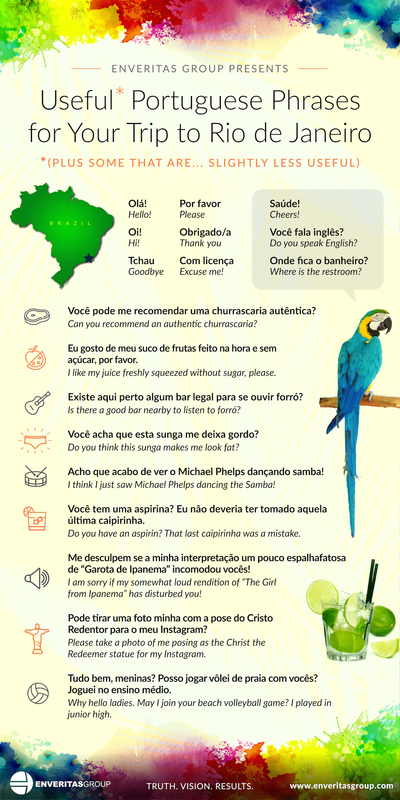 Headed to Rio and need to brush up on your Portuguese? Here are some useful (and less useful) phrases you might want to memorize! At EVG, we have a network of global writers and editors to ensure that your global content is localized and optimized to perform well in your target areas. To learn more about our translation, localization and other services, check out our Content Services.